For those seeking something special, look no further! 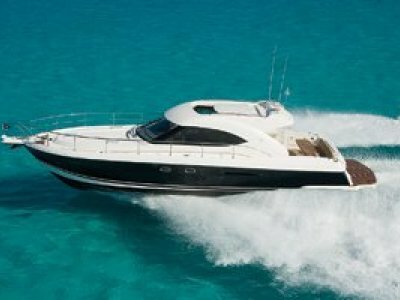 The Sealine T50 was years ahead of its competion in style and design! 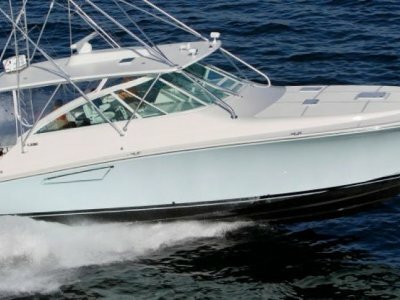 In respect to quality, well this 2009 built (yet delivered in 2011), shows how superior the Sealine was with the feeling of solidness, style and quality in every aspect of the yacht! 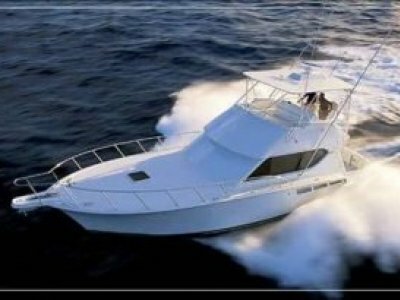 Step aboard this 50' Fly and one could be forgiven for thinking she is one of the recently released yachts. 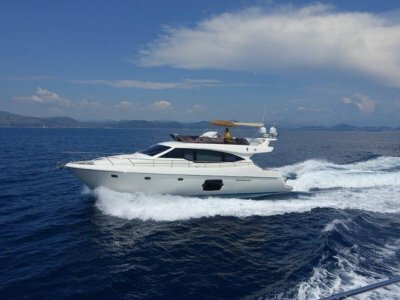 Her unusually large aft cockpit is thanks to an ingenious design feature by Sealine which extends the aft lounge and swim platform half a metre aft with the flick of a switch. This allows comfortable alfresco dining area with her fixed aft lounge and added to this is tasteful table with two tumble chairs. Whilst here we'll just point out the storage area under the flybridge access stairway (yes, stairs, not a ladder!). What could be a crew cabin on this yacht is a generoius storage area for all items one needs aboard a yacht but dont always have a place! The aft stainless steel and glass saloon doors slide open to make a huge area spanning to the forward screen. 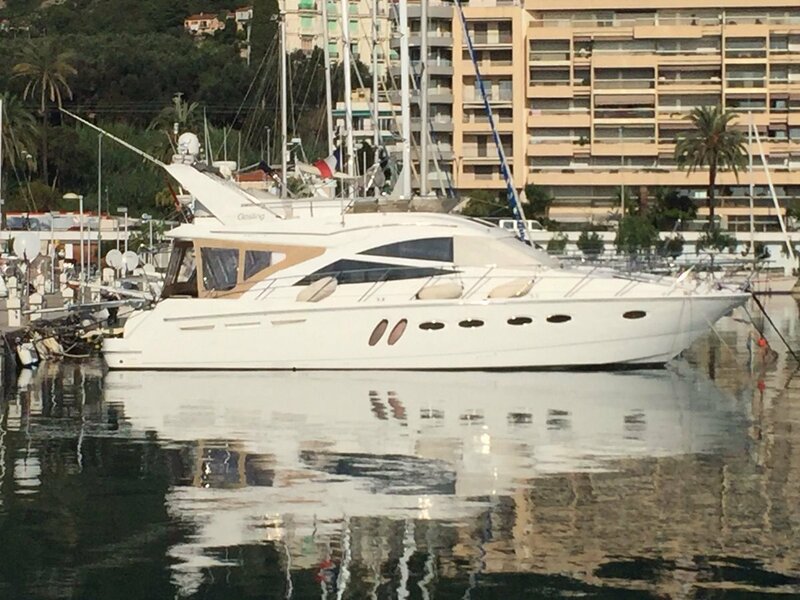 Certainly a very social yacht for those on the main deck. Speaking of innovation again, the galley is located to port immediately as you enter the saloon (as on most yachts today!) with all appliances one needs including a full height fridge. Moving forward is the internal dining area with electrically operated hi-lo table making is a dining or social coffee table. Surrounding seating is also generous with two extra seats pulled in from what is also the port side lounge. A very apparent feature of the Sealine T50 is the openess in the cabins. It has used overhead skylights and side windows or port holes extremely well. The lower deck features three cabins - a forward double VIP, mid bund cabin and midship an owners cabin with private ensuite bath. There is also a centrally located ensuite and in the lower hall a laundry area. The fly on the Sealine T50 is same as one would expect on a 2019 model, with large U lounge, wetbar with fridge, sink and grill, sun pad and comfortable helm with two seats. The rigid hull tender launches with the passerelle/davit. Please contact us for a full list of the features and additional photos. The price excludes our selling and service fee to be paid by the buyer.